Conference Series Llc Ltd invites all the participants from all over the world to attend “World Congress on Advanced Nano Research and Nano Tech Applications' during Aug 26-27, 2019 at Bangkok, Thailand. Which includes prompt keynote presentations, Oral talks, Poster presentations and Exhibitions? NANO RESEARCH ADVANCES welcomes all the Nano Technologists, Electronic Engineers, Researchers, Industrialists, Young Scientists as well as Student and Corporate delegates across the world to participate in the event and to have a great experience. The theme of the conference is based on “Cutting edge research in Nano Science and Nano Technology”. International symposiums, B2B meetings, international workshops will also be organized to discuss the specific topics in the field of Nano technology during the conference. We also welcome International Exhibitions form corporate sectors to showcase the recent advancements in the tools and techniques. With members from around the world focused on learning about Nanoscience and Nanotechnology; this is your best opportunity to reach the largest assemblage of participants from the Nanoscience and Nanotechnology community. Conduct presentations, distribute information, meet with current and potential scientists, make a splash with new drug developments, and receive name recognition at this 2-day event. World-renowned speakers, the most recent techniques, developments, and the newest updates in Nano Science and Nano technology are hallmarks of this conference. World Congress on Advanced Nano Research and Nano Tech Applications Aug 26-27, 2019 Bangkok, Thailand3rd World Congress on Nano Science and Nano Technology December 9-10, 2019 in Bangkok, Thailand; 21st Asia Pacific Nanotechnology Congress Mar 25-26, 2019 Yokohama, Japan; 24th Annual Meeting on Nanomaterials Science March 21-22, 2019, New York, USA; 27th International Conference on Nano medicine and Nanomaterials October 14-15, 2019 Dubai, UAE. Optics and Lasers in Engineering aims to provide an international medium for the interchange of information on the development and application of optical techniques and laser technology in engineering. Emphasis is placed on contributions dealing with the practical use of methods and devices, the evaluation of results and developments and enhancement of solutions and new theoretical foundations for experimental methods. Development of Nanotechnology and creating of Nano materials opened new perspectives for a number of areas of industry. These materials explain enlarged strength, toughness, biocompatibility, and can ensure higher service properties, reliability and systems. Cancer nanotechnology is a branch of nanotechnology concerned with the application of both nanomaterials (such as nanoparticles for tumour imaging or drug delivery) and nanotechnology approaches (such as nanoparticle-based theranostics) to the diagnosis and treatment of cancer. World Congress on Advanced Nano Research and Nano Tech Applications Aug 26-27, 2019 Bangkok, Thailand3rd World Congress on Nano Science and Nano Technology December 9-10, Bangkok, Thailand; 21st Asia Pacific Nanotechnology Congress Mar 25-26, 2019 Yokohama, Japan; 24th Annual Meeting on Nanomaterials Science March 21-22, 2019, New York, USA; 27th International Conference on Nano medicine and Nanomaterials October 14-15, 2019 Dubai, UAE. Carbon nanotubes (CNTs) are allotropes of carbon with a cylindrical nanostructure. These cylindrical carbon molecules have unusual properties, which are valuable for nanotechnology, electronics, optics and other fields of materials science and technology. Owing to the material's exceptional strength and rigidity, nanotubes have been built with length-to-diameter ratio of up to 132,000,000:1, significantly larger than for any other material. In addition, owing to their extraordinary thermal conductivity, mechanical, and electrical properties, carbon nanotubes find applications as flavors to various structural materials. For instance, It form a tiny portion of the material(s) in some (primarily carbon fibre) baseball bats, golf clubs, car parts or Damascus steel. World Congress on Advanced Nano Research and Nano Tech Applications Aug 26-27, 2019 Bangkok, Thailand3rd World Congress on Nano Science and Nano Technology December 9-10, 2019 in Bangkok, Thailand ; 21st Asia Pacific Nanotechnology Congress Mar 25-26, 2019 Yokohama, Japan; 24th Annual Meeting on Nanomaterials Science March 21-22, 2019, New York, USA; 27th International Conference on Nano medicine and Nanomaterials October 14-15, 2019 Dubai, UAE. Nano materials are considered as materials with no less than one outside measurement in the size extent from around 1-100 nanometers. Nanoparticles that are usually happening (e.g., volcanic powder, ash from woodland fires) or are the accidental side effects of ignition procedures (e.g., welding, diesel motors) are generally physically and synthetically heterogeneous and often termed as ultrafine particles. Built nanoparticles are intentionally delivered and planned with particular properties identified with shape, size, surface properties and science. These properties are revealed in mist concentrates, colloids, or powders. Regularly, the conduct of nanomaterials might depend more on surface region than molecule arrangement itself. Nanotubes, Nano clays and quantum dabs will be the quickest developing species. Graphene is one of types of carbon known as its "allotropes". These are fundamentally unique types of a similar component, in which similar particles security together in various ways. For instance, particles of oxygen can tie together as two iotas – O2, which makes up a fifth of Earth's air – or as three molecules, ozone, which shields us from bright radiation. On account of carbon, beside ash and charcoal, the most usually known structures are jewel, graphite, and the fullerenes. The Nano is the highest building block for healthcare, structural material, in electronics, automation, etc., and will become the platform for new cutting edge technologies to grow for the better living of mankind. Nanotechnology is fast gaining traction across a range of industries, from agriculture to water treatment to energy storage. Today, nanotechnology is one of the most advanced, cutting-edge areas of scientific study and it continues to advance at staggering rates. From scientists at technology-focused companies and institutions to students pursuing a nanotechnology degree, leaders in nanotechnology are creating the latest innovations in this field. World Congress on Advanced Nano Research and Nano Tech Applications Aug 26-27, 2019 Bangkok, Thailand3rd World Congress on Nano Science and Nano Technology December 9-10,2019 in Bangkok, Thailand; 21st Asia Pacific Nanotechnology Congress Mar 25-26, 2019 Yokohama, Japan; 24th Annual Meeting on Nanomaterials Science March 21-22, 2019, New York, USA; 27th International Conference on Nano medicine and Nanomaterials October 14-15, 2019 Dubai, UAE. The new drug carriers in Nano-scale offer the chance of development and increase the therapeutic index of drug molecules. This growing is proved by their effectiveness; decrease their toxicity for physiological tissues. The methods of drug delivery are of importance for medicine and healthcare. Materials and nanotechnology play an important role to make development of drug delivery. Nanotechnology is the improvement and engineering of devices so small that they are measured on a molecular scale. This developing field involves scientists from many different disciplines, including physicists, chemists, engineers, information technologists, and material Researchers, as well as biologists. Nanotechnology is being applied to almost every field imaginable, including electronics, magnetics, information technology, materials development and biomedicine. There are numerous areas of concern in the nano science and nanotechnology market which are expectable to be explored in the approaching years, for instance, nanoparticles of metals and semiconductors, nanowires, nanobiological systems and nanotubes,. Nano Research Advance2019 greetings attendees, presenters, & exhibitors from all over the world to Perth, Australia. We are delighted to invite you all to join & register for the international conference on “World Congress on Advannce Nano Research and Nano Tech Application " which is going to be organized during August 26-27, 2019 in Bangkok, Thailand. Nanotechnology is growing as a several purpose technology with potential applications in many sectors of the global economy, in addition to healthcare, consumer products, energy and agriculture among others. It is often seen as a new industrial revolution, and is incrementally attracting worldwide attention owing to its wide range of end-uses. Nanotechnology has huge development prospects owing to a wide range of potential products & applications, and there is an enormous scope for its commercial extension. The global nanotechnology market is expected to grow at a CAGR of around 17.5% during 2016-2022. Thus, there lies a huge chance for industry participants to tap the fast growing market. 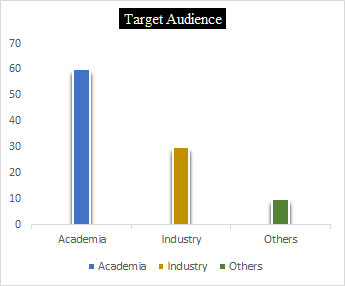 In the newest research survey, ‘Global Nanotechnology Market Outlook 2022’ the analyst have conducted a segmented research of the nanotechnology industry and have explicate the key market trends to clearly highlight the areas offering promising possibilities for industries to boost their development. In 2015, the global nanotechnology market has shown impressive development supported by certain prominent factors, like acquiring significant amounts of public and private investments in R&D, partnerships & strategic alliances between the countries. At present, the bio-medical industry is one of the largest sectors in which Nano-enabled products have made crucial contributions, majorly in healthcare industry, with significant growth being done in other topics like electronics and energy as well. 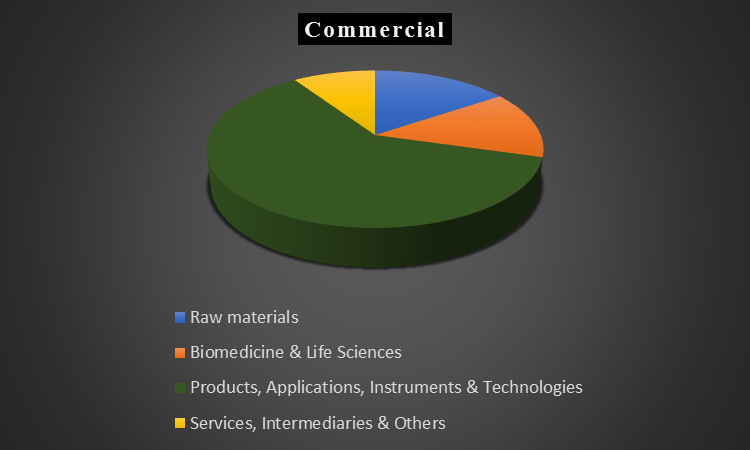 In this report, the analysts have considered the present nanotechnology marketplace on segment basis (by application, by component and by region), while covering the present market scenario as well as contributing forecasts for each of the indicated segments till 2021. The report covers an in-depth analysis of all the important segments, taking into account the key growth taking place at global level, like creations of new opportunities by different countries for nanotechnology industry to develop products in divergent verticals and the emergence of advanced markets that can impel the growth of Nano science and Nanotechnology. 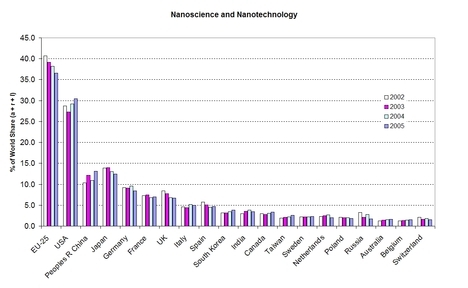 The global market for the nanomaterial's in the year 2006 was around US $14,000, and the global investments are to be increased 50% more by the ending of 2020. With members from around the world focused on learning about Nanoscience and Nanotechnology, this is your single best opportunity to reach the largest assemblage of participants from all over the world. Conduct demonstrations, distribute information, meet with current and potential customers, make a splash with a new product line, and receive name recognition at this 2-day event. 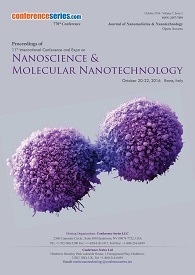 World-renowned speakers, the most recent techniques, tactics, and the newest updates in fields Nanoscience and technology, Materials and molecular nanotechnology, tissue engineering are hallmarks of this conference. Nanotechnology has been heralded as having the potential to lead to the next industrial revolution. Nanotechnology is one of the top-ranked subjects in the academic and research field. It is an enabling technology which generates new capabilities, products and markets and so on. The global market for nanotechnology products was valued at $22.9 billion in 2013 and increased to about $26 billion in 2014. 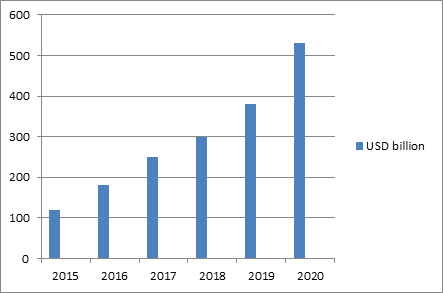 This market is expected to reach about $64.2 billion by 2019; a compound annual growth rate (CAGR) of 19.8% from 2014 to 2019.The global market for nanotechnology-enabled printing technology was estimated to total $14 billion in 2013. The market is expected to grow at a projected compound annual growth rate (CAGR) of 17.7% over the next five years to total $31.8 billion by 2020. Nanotechnology is a rapidly growing technology with potential applications in many sectors of global economy, namely healthcare, cosmetics, energy, and agriculture among others. The technology is revolutionizing every industry, while tremendously attracting worldwide attention. Owing to its wide range of uses, the global nanotechnology market is expected to grow at a CAGR of around 17% during the forecasted period of 2018-2024. Thus, there lies a great opportunity for industry participants to tap the fast growing market, which would garner huge revenue on the back of commercialization of the technology. market trends & developments that clearly highlight the areas offering promising possibilities for industries to boost their growth. In 2017, the global nanotechnology market has shown impressive growth owing to factors, like increase in government and private sector funding for R&D, partnerships & strategic alliances between countries, and increased in demand for smaller and more powerful devices at affordable prices. At present, the healthcare industry is one of the largest sectors where nanotechnology has made major breakthrough with its application for the diagnosis and treatment of chronic diseases like cancer, heart ailments, etc. Further, significant developments are also being done in other sectors like electronics, agriculture, and energy. In this report, the analysts have studied the current nanotechnology market on segment basis (by application, by component and by region), so as to provide an insight on the current market scenario as well as forecasts of the aforementioned segments till 2024. The report provides an in-depth analysis of all the major segments, taking into account the major developments taking place at global level in the respective segments that will further boost the growth of nanotechnology market. defence, and food and agriculture sectors; while the component section covers the segregation of nanotechnology market into nanomaterials, nanotools, and nanodevices. 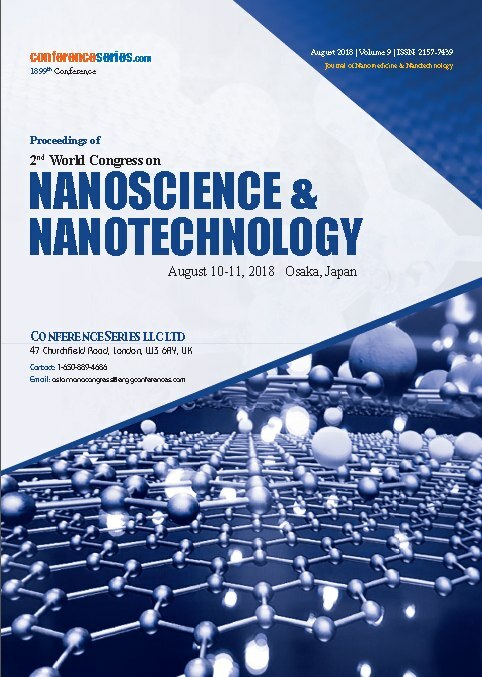 The 2nd World Congress on Nano science and Nano Technology 2018 hosted by the Conference Series LLc Ltd held during August 10-11 at Osaka, Japan based on the theme “Recent developments in Nano science and Nano Technology ". Benevolent response and active participation was received from the Organizing Committee Members along with Scientists, Researchers, Students and leaders from various fields of Medicine, Nanotechnology, pharmacy, who made this event a grand success. With the grand success of Asia Pacific Nano Congress 2018, Conference Series LLc Ltd is proud to announce the "World Congress on Advance Nano Research and Nano Tech Applications" to be held during August 26-27, 2019 at Bangkok, Thailand.